Can I assign several project managers to one project? 3) Enter a custom field name (for example Client PM 2), select Text line as the type and enter the variable name for this custom field (for example CLIENT_PM_2). Click OK to save the changes. 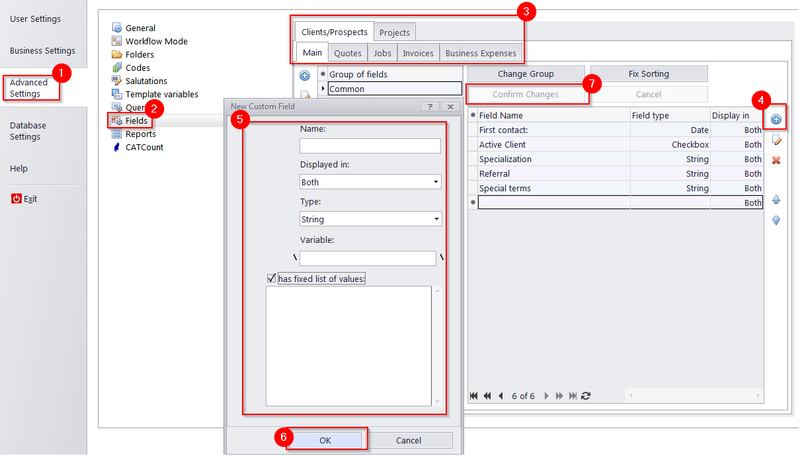 4) Close the Advanced Settings window and switch to the Project main page. Choose the necessary project and switch to its Custom section. Enter your second project manager name in the appropriate field. 5) To use it in your invoices, please, add the custom field variable to your template. The same can be repeated for client jobs, i.e. a custom field for client jobs can be added.